Lv. 37 players unlock Merc Trials, where they face mercenaries in deadly time trials. 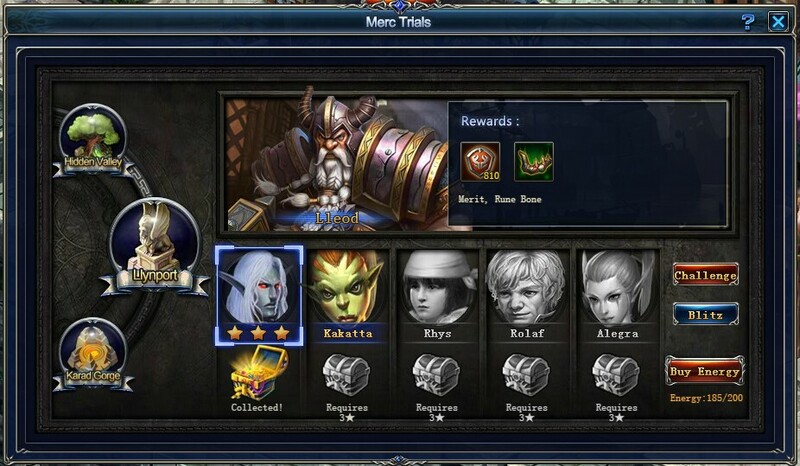 Rewards increase with difficulty, but each level offers Merit for upgrading your mercs' artifacts. Taking on a trial requires 30 Energy. You receive 5 Energy every 30 minutes, but you can always use Vouchers or Gems to buy more. VIPs add the number of Energy purchases per day. 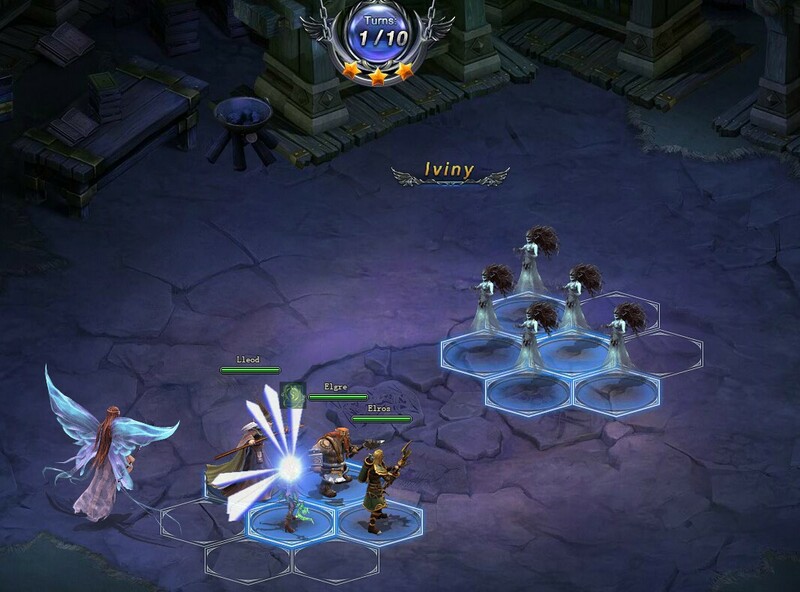 Each battle has three waves of monsters. You are awarded stars based on the number of turns it takes to clear the trial. The fastest players who can clear a trial within the time limit get 3 stars and tons of Merit. After clearing a trial, you can blitz it for 30 Energy.